Are you planning to get a degree and work in the field of Human Services? Are you looking for a way to get experience working with adolescents and their families while you are still in school? Hutton House is a temporary runaway and homeless shelter for 13-17-year-old teenagers in crisis, as well as for families dealing with adolescent-parent challenges. We offer residential services and crisis intervention for youth; counseling for individuals, groups and families; and drop-in services. Our focus is getting youth off the street and reunited with their families in a healthy and safe environment. As an established and reputable youth shelter in Stanislaus County, we offer valuable work experience to interested individuals. Both paid and volunteer positions are available. All employees/applicants and volunteers must be at least 21 years of age. We ask for at least a six-month commitment or 200 hours for volunteer positions. Volunteer recruitment happens twice a year, generally in the Spring and Fall, and paid positions are recruited year round. Select an option below for our available paid and volunteer positions. If you have any questions contact Hutton House at (209) 526-1623. 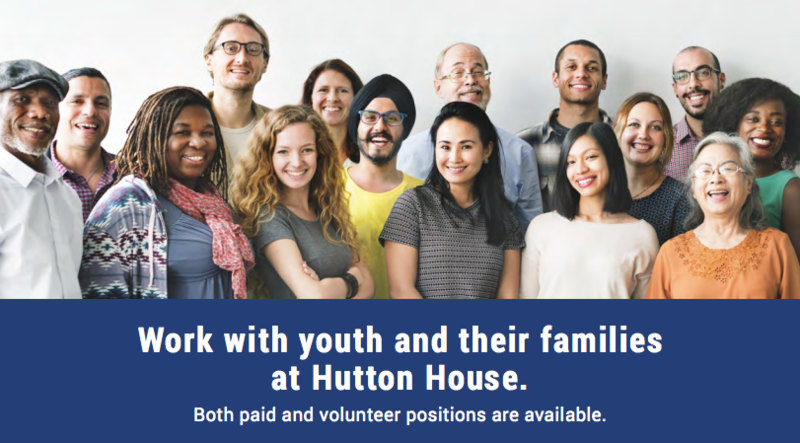 Hutton House has openings for Per Diem Residential Staff, responsible for supervision of youth through monitoring daily routines, education and other activities, answer and responding to the crisis line, and making appropriate referrals. All employees/applicants must be at least 21 years of age. Hutton House has a very active group of volunteers and would not survive without the generous support of people like you who give of themselves and their time. Volunteers must be at least 21 years of age.